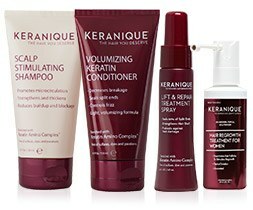 The Complete Keranique Hair Regrowth System is a four piece kit that marries both the science of a clinically proven hair regrowth treatment with true premium hair care for thicker, fuller, healthier-looking, more manageable and more beautiful hair instantly. 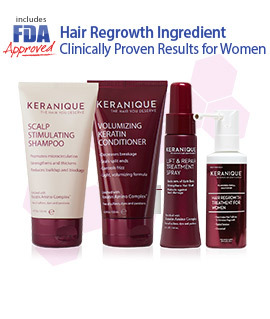 The Keranique Hair Regrowth System contains the only ingredient for women’s hair regrowth that has been approved by the FDA, so you can regrow your hair naturally without expensive surgery or painful procedures. 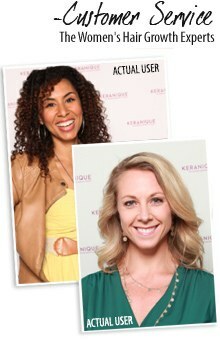 In three easy steps, you can have the thicker, fuller, healthier-looking hair you are dreaming of.